Everyone loves a barbecue, there’s just something inherently beautiful when an open fire kisses a nice piece of mea. And if you live in the city, chances are you won’t have a grill at home. 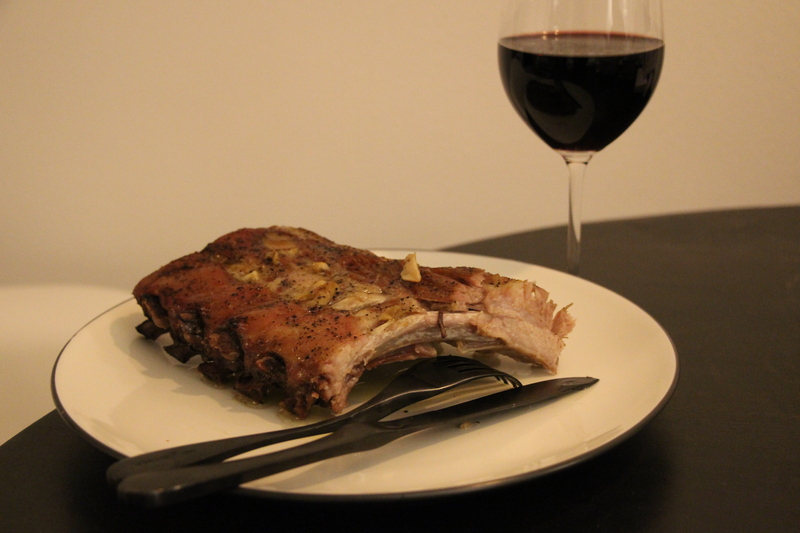 Fear not, we’ll teach you how to cook some great meat in the comforts of your abode in the city. Letting the piece of meat come to room temperature before placing it in your preheated oven is the most important part of this cooking method. Doing this allows the meat to cook more evenly. You wouldn’t want your chicken to look cooked on the outside but be inedible on the inside! Because types of meats (beef, chicken, pork, duck, etc…) can be eaten at different levels of “doneness”, there isn’t a one-cooking-time-fits-all approach that can be applied here. So click this link and have a quick look before you cook. This is probably the easiest way to cook a piece of meat as you don’t really need to babysit it; you simply set the oven temperature and come back in 1-2 hours. Whether it is a hefty leg of lamb, pork spare ribs, or a nice beef prime-rib. All you really need to do is set your oven’s temperature at 250 degrees fahrenheit, then let it cook. If you want the meat to be juicier, wrap it in tin foil. Wrapping the meat in tin foil helps the meat retain its moisture as the heat doesn’t dry it out as easily. Once you’re done with the slow cooking process, turn up the temperature, remove the tin foil, and let your meat bake uncovered for 10-12 minutes, doing this will add some color and crispiness to the exterior of the meat. You can find the cooking times for all sorts of meats here. People love barbecuing because it gives most of the things you cook a charred smoky flavor with a crispy crust. Not only does barbecuing make food look better, it makes meat taste better. This taste can be somewhat emulated by pan frying the meat. All you need to do is to get your frying pan super hot, add some oil, melt a bit of butter, and fry your meat. This gives your meat a deep, dark brown color achieved through something called the Maillard reaction. The Maillard reaction basically turns sugars and fats into crispy areas of flavor and deliciousness.